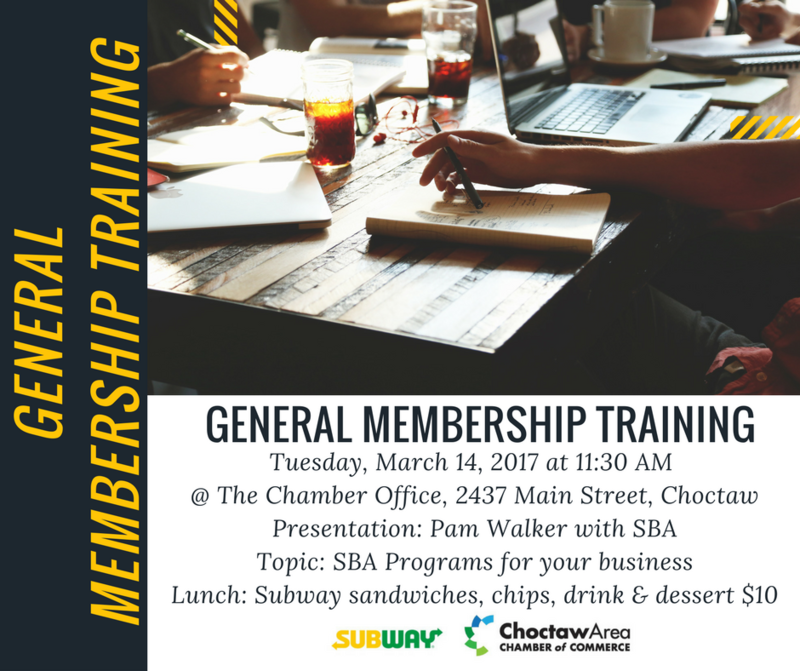 Pam Walker with the Small Business Administration will provide information regarding SBA programs and initiatives that may be of benefit to your business. Lunch is available for $10 (Subway sandwiches, chips, a drink and a dessert). Please make plans to attend this presentation.